In a wide-ranging HIMSS19 week conversation with Healthcare IT News, Dr. Kyu Rhee discusses artificial intelligence, value-based care, healthcare quality, and how client health system Health Quest is dealing with PCMH, MIPS, CPC+ and HEDIS efforts. IBM Watson Health is at the forefront of artificial intelligence in healthcare. The company is tackling a wide array of challenges in the industry, and is working with major provider organizations to do so. 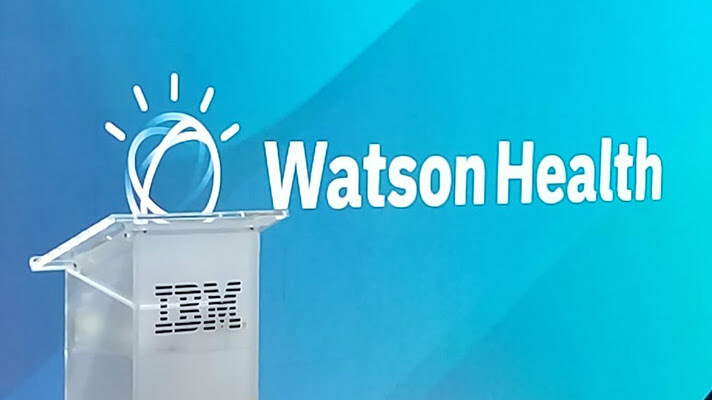 For HIMSS19 week, Healthcare IT News conducted an exclusive interview with Dr. Kyu Rhee, vice president and chief health officer at IBM Watson Health, to discuss the state of health IT and what lies ahead. Dr. Rhee offers frank and in-depth answers that give healthcare CIOs and other executives plenty to think about. Q: What are the biggest challenges facing healthcare provider organizations today? A: Healthcare providers are living through an unprecedented era of disruption that has upended the status quo for both administrators and clinicians. On the administrative side, hospitals and health system business models have undergone a historic transformation that puts quality at the center of the success equation. Starting this year, a number of providers around the country learned whether their Medicare reimbursements were going to be adjusted up or down based on how well they performed in 2017 thanks to new value-based payment programs that adjust reimbursements based on outcomes. Meanwhile, health plans and employers are reshaping the way the world pays for healthcare. They are aggressively moving into risk-based contracting arrangements with healthcare providers. In November, Walmart launched its 10th direct contracting relationship with a health system, cementing the strategy as a cornerstone of population health for its 1 million U.S. employees. This fundamental shift away from fee-for-service to value-based payment models changes literally everything about the way hospitals are run as a business. On the clinical side, providers are dealing with a really troubling data paradox. They are under enormous pressure to meet new performance guidelines, all of which are based on quantitative evidence. But they are drowning in the very data they need to reach these performance benchmarks. Medical data is expected to double every 73 days by 2020 and for every hour spent with a patient, physicians spend two hours on administrative tasks and updating EHRs. Not surprisingly, the prevalence of physician burnout has increased from 45.5 percent to 54.4 percent over the last three years as doctors struggle to keep pace with an overwhelming amount of data. Q: How will IBM Watson Health help provider organizations meet these challenges? A: We’re using our presence at HIMSS19 this year to formally unveil the work we’ve been doing over the past year to integrate AI technology and smart, user-friendly analytics into the provider workflow, with a particular focus on real-world solutions for providers to start tackling these types of challenges head-on. We will tackle these challenges by focusing our offerings in three core areas. First, is management decision support. These are the back-office capabilities that improve operational decisions. For example, over the last two years working with the state of Iowa’s Medicaid agency, our IBM DataProbe solution was used to help the state recover over $40 million in fraudulent claims by algorithmically identifying red flags like behaviors consistent with opioid abuse and duplicate services. Now the state is testing a limited availability solution that uses AI to surface even deeper insights about fraud, waste and abuse. Second is caregiver decision support. These are our offerings that help physicians, pharmacists, nurses and other caregivers make better decisions at the point of care. An example of some of the groundbreaking work we are doing in this space today is our recent launch of Micromedex with Watson Assistant, which puts natural language processing technology into the workflow of hospital pharmacists around the world to help them quickly answer drug information questions from the evidence in our market-leading clinical knowledge suite. "Healthcare providers are living through an unprecedented era of disruption that has upended the status quo for both administrators and clinicians." And last but not least, consumer enablement. This is the education, engagement and information in support of personal health decisions. An example of our work in this space is how we’re empowering consumers with AI through our partnership with Medtronic to build Sugar.IQ. Built with Watson, Sugar.IQ is a cognitive mobile personal assistant app that will provide real-time actionable glucose insights and predictions. Across these three categories in summary is to provide better insights for improved decisions. These examples, of course, are just the beginning of what’s possible, but they demonstrate the enormous ground we’ve already covered, the tremendous strategic advantage we currently have in the marketplace, and our clear path forward for continued innovation and new product development. Q: What is one clear example of how a healthcare provider organization is using IBM Watson Health technology to tackle these challenges? A: One of our clients, Health Quest, is a not-for-profit, four-hospital health system with locations throughout Connecticut and New York’s Hudson Valley that has plunged headlong into quality improvement initiatives. They are participating in the Patient-Centered Medical Home (PCMH), Merit-based Incentive Payment System (MIPS), and Comprehensive Primary Care Plus (CPC+) programs, as well as a number of the Healthcare Effectiveness Data Information Set (HEDIS) performance measurement programs administered by private health plans. In committing to these programs, Health Quest has made its Medicare and health plan reimbursements contingent upon hitting certain clinical, financial and patient satisfaction performance thresholds throughout the health system. We worked closely with Health Quest to consolidate disparate data from across practices and departments and build near-real time dashboards for measuring value-based performance. One of the specific solutions [RH1]Health Quest used leverages natural language processing and cognitive insights to identify, categorize and rank relevant concepts from all of the past documented care management notes. That gives frontline care providers the insight they need to ensure that they don’t miss even the smallest detail. Examples include flagging symptoms such as shortness of breath and arm heaviness as possible red flags for future complications. After just one year working with these technologies, Health Quest received a final MIPS score of 93.32 of 100, which made them eligible for a 1.65 percent payment bonus. The system also met the care management requirements of Comprehensive Primary Care Plus (CPC+) Track 2. Also, by tracking gaps in care, Health Quest identified patients that had not been seen for an office visit in over a year, prompting outreach to those patients which resulted in $3.7 million in total billing revenue generated and improved the health system’s ability to provide preventative care to its community.